Dyslexia is not tied to measurements of intelligence. 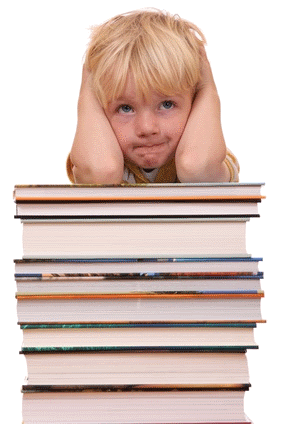 In fact, dyslexia is commonly associated with above-average intelligence. That’s why parents and teacher are often baffled when a child who is obviously smart and capable struggles with reading and writing. 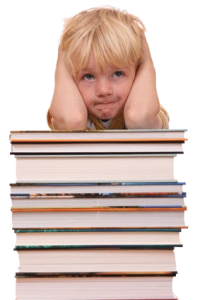 But parents are often stymied when seeking help for their child in school. When they raise questions about their child’s struggles, they are often told that their child is “too smart” to have dyslexia. Sometimes even when the child is tested for learning difficulties, the result is that the child doesn’t test badly enough to qualify for services. The parents might be told that their child is lazy, or just needs to try harder; or problems with academics may be mistakenly given other labels, such as Attention Deficit or or a behavioral disorder. These statements are based on misinformation and can be harmful and discouraging to the child– who is probably working as hard as he knows how. However, in a school setting, they can also reflect a sad reality: the “twice gifted” child is probably a poor match for the special education services available at the school, which may be geared to children who are much less capable. In fact, bright dyslexic children placed in special ed settings usually fare worse over time than counterparts who were given no support at all. Fortunately, a formal diagnosis is not needed in order to get help. These hard-to-diagnose kids very progress very quickly when introduced to Davis tools and concepts..They can quickly learn and embrace the Davis mental self-regulation skills. With the self-understanding and elimination of perceptual barriers that comes with a Davis program, these children often experience rapid and remarkable gains. After a Davis program, many are reading above their grade level and are able to effectively apply their newly acquired skills to excel in school. My son is 21 years old and needs help with dyslexia. Is this method effective with adults, and if so, where can I find a facilitator in Florida? My daughter was 21 when she went through the corrective class. It helped her so much and also gave her back some confidence that the school system had seemed to taken from her. She is doing much better in college now and realizes she’s gifted instead of slow. The Davis program is very good at helping them bridge the gap between textbooks and the mind photos she sees. 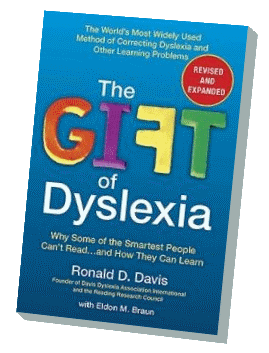 As a mother, I was astounded by what I even learned about the gift of Dyslexia. My 9-year-pld daughter got dyslexia. We live in Bangkok, Thailand. How can we access your programs? I’m trying to find anybody who can help her. I am a teacher at Ashbury Primary School, in Montagu, many of my kids in class struggle to write and read, I want to know how can I test them to know if some is dyslexic? This can not give you a formal diagnosis, but it will give you a better understanding of your students’ learning strengths and weaknesses. Are there any Davis facilitators in Australia ? My son is 42 and Severely dyslexic., which I’ve known since he was about 2 years old. He’s suffered all his life: however, is extremely intelligent, has a university degree in media and studying for another degree at present but is very depressed. I am dyslexia but need help with it to move on with my career future. My daughter is 11. She was tested two years ago and we were told she has dyscalculia Would these sessions help her with numbers as well as letters? Has anyone else used it for dyscalculia? Barbara, we have a specific program developed for dyscalculia called Davis Math Mastery. See https://www.davismethod.org/davis-programs/ for a list of the various programs. However, if you go to a Davis Facilitator, the Facilitator will recommend the best program as part of the initial evaluation process. Sometimes we find that that the math problems are connected to underlying reading problems and recommend starting with with Dyslexia Correction program or combining a dyslexia and math program.